I’m working on some new techniques to add to my artist’s quiver. I’m not entirely sure where, or how these are going to end up on my pots but I thought I would share a little of my studio obsession at the moment, speedball ez cut blocks. This entry was posted in studio and tagged carving, process, studio on March 26, 2012 by Jennie. Love these! 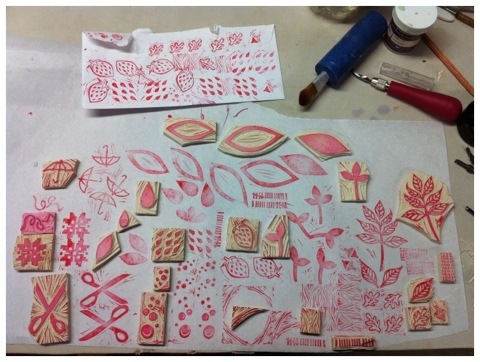 I’ve been working on different ways to make stamps too….these could become addictive! Hope to see you at MSWF.